Budapest, the capital of Hungary and considered by many to be the "Paris of the East," is one of the most culturally important metropolises in Eastern Europe and home to numerous UNESCO World Heritage Sites. Although humans have lived here since the Stone Age, this beautiful city only formally came into being in 1872 with the amalgamation of three previously independent towns - Old Buda (Óbuda), Buda, and Pest - to become the administrative, commercial, and industrial center of Hungary. Straddling the River Danube, Budapest is famous for its thermal springs, some of which have been used for therapeutic purposes since prehistory. 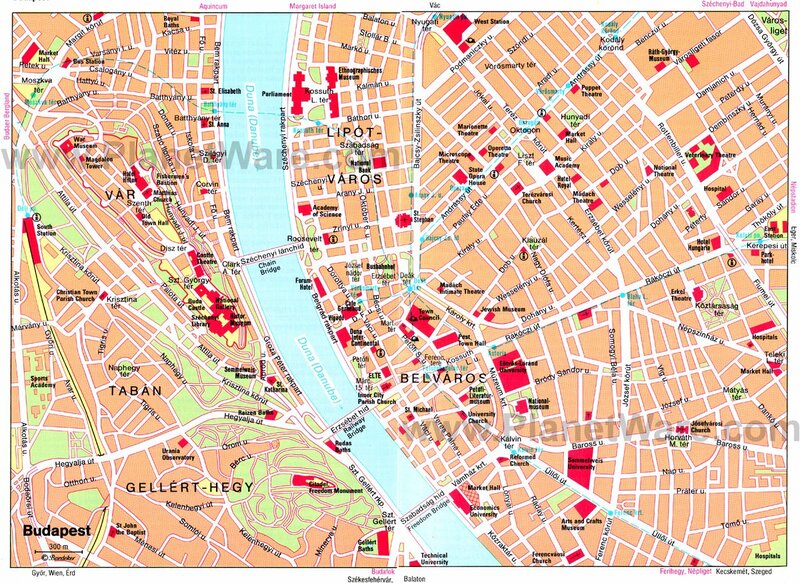 Budapest has so many things to do that you will want to spend at least a few days exploring the city. Popular attractions range from impressive architecture and poignant reminders of 20th-century history to a vibrant cultural and entertainment scene, with everything from street buskers to classical concerts in beautiful churches. Towering over the Danube, Castle Hill contains many of Budapest's most important medieval monuments and museums. The most spectacular of these impressive structures is the 18th-century Buda Castle, a massive 200-room palace that replaced a 13th-century castle built to protect the stronghold from Mongol and Tartar attacks. Although badly damaged in World War II, much of the exterior has been restored, and the restored portions of the interior house museums, including the Hungarian National Gallery in the main wing. In the south wing, the Budapest History Museum occupies four floors. In front of the castle overlooking the Danube stands a bronze equestrian statue of Prince Eugene of Savoy, a hero of Turkish attacks on the city. Castle Hill is worth exploring for its medieval lanes and it Romanesque, Gothic, and Baroque architecture. This entire historic complex is a UNESCO World Heritage Site. Like much of the city, Buda Castle is spectacularly illuminated at night, and the castle courtyards remain open 24 hours a day. You can reach the castle on the restored historic Castle Funicular Railway, which departs from the Buda end of the Chain Bridge. A highlight of a walk around Budapest's lovely pedestrian-friendly cobbled streets is the area around the country's architecturally pleasing Parliament building, and its neighbors, the Museum of Ethnography and the Ministry of Agriculture. The world's third largest parliament building, this Neo-Gothic building was inaugurated in 1886 to mark the country's 1,000th anniversary. (Hungary was then part of the Austro-Hungarian Empire.) It boasts 691 rooms as well as an impressive 19 kilometers of corridors and stairs. Guided tours (approximately 45 minutes) are available whenever the government is not sitting and include many of the building's highlights, such as the main entrance hall, various lobbies, and the Hungarian Crown Jewels. St. Stephen's Basilica of Budapest is also a cathedral and is a popular attraction for its impressive architecture, the beauty of its interior, and the panoramic views from its dome. Dedicated to St. Stephen, Hungary's holy king who was also the founder of the Hungarian state, it was begun in 1851, but after several construction setbacks - including the collapse of its unfinished dome - it was not dedicated until 1905. The roof, towers, and external walls were badly damaged in World War II, and the church's precious mosaics fell from the walls. But these were successfully restored to their original place and are the highlight of the richly decorated interior. The five-part Venetian mosaic is in the sanctuary and represents the allegories of the mass. The most precious holy relic is displayed under glass in the chapel to the left of the high altar, the mummified right hand of the church's patron saint, the first king of Hungary. Two elevators carry visitors into the cupola (or you can climb the 364 steps) for sweeping 360-degree views over the city and the Danube. Guided tours of the basilica are given on weekdays, and it is often the setting for organ and other classical concerts. Overlooking the Danube, where the fishermen's guild built their defense walls in the Middle Ages, is the impressive Fisherman's Bastion. The Neo-Romanesque complex of towers, courtyards, colonnades, and walls was built between 1895 and 1902. It's one of the most popular points in the city for tourists, with its views over the city and the Danube. In the south courtyard stands a bronze equestrian statue of St. Stephen, the first King of Hungary. The reliefs on the sides of the base depict scenes from Stephen's life. The Danube (or "Duna" in Hungarian) flows through Budapest from north to south, and in places within city boundaries, it is as much as 640 meters wide. The Danube Promenade, a pleasant century-old riverside walk extends from the Elisabeth and Széchenyi Chain Bridges. Although there are many places from which to enjoy views of this magnificent, majestic river as you stroll its banks (either the Buda or Pest sides, they're both good), the Danube Promenade is one of the best vantage points to take in the city's stunning architecture. It's also on the banks of the Danube (the northeast side, close to the Hungarian Parliament buildings) that you'll find the chilling Shoes on the Danube Bank memorial, a series of 60 pairs of steel sculpted shoes commemorating Jews shot here by the Nazis. It's a poignant and moving reminder of the Nazi atrocities suffered by Hungary in World War II. Another way to explore the Danube is by boat, and numerous tourist excursions depart regularly from the landing stages at Vigadó tér on the Pest bank and Bem József tér on the Buda bank. (It's also fun watching these sturdy vessels from the historic Freedom Bridge as they whip down river only to have to struggle back against the current). Matthias Church, also known as The Church of Our Lady, is a prominent landmark on Castle Hill. It was completed in 1269, and the magnificent south doorway, with its relief depicting the Death of Mary, was added in the 1300s. In the Turkish occupation (1541-1699), it was used as a mosque and later renovated in the Baroque style. It has been the scene of several historic events, including the coronation of King Charles I of Hungary in 1309 and the coronation of Emperor Franz Joseph I of Austria and his consort Elisabeth ((Sissy) as rulers of Hungary. It was for this event that Franz Liszt composed his coronation mass. There are free organ concerts here on Sunday evenings. Another of Budapest's most striking features is the panoramic Gellért Hill, a 235-meter block of dolomite that falls steeply down to the Danube. It's here along the hill's geological fault line that several of the city's most famous medicinal springs emerge to supply the Gellért Spa and Rudas Baths, which have lured visitors from far and wide since the 13th century. Rudas Baths are one of a handful of buildings remaining from the Turkish occupation; these are among the few original Turkish bathhouses in the world still in use that date back to the 1600s. On the hill's northeast slope is the Gellért Monument, a tribute to Hungary's beloved famous saint, a Benedictine monk who died in 1046 for whom the hill is named. Perched high above a man-made waterfall, it offers magnificent views over the city. The Citadel on the summit was built by the Austrians in 1851, and the Liberation Monument was erected in 1947 in memory of the Soviet soldiers who died fighting in WWII. Finally, if you have energy left, take a stroll around Jubilee Park. Laid out to celebrate the 40th anniversary of the October Revolution, it's home to many charming walkways, beautiful flowerbeds, and sculptures. Just across Freedom Bridge from the Gellért Spa is the Great Market Hall, a beautiful sight with its roof of colorful Zsolnay tiles from Pécs, Hungary. The Museum of Fine Arts is not only Budapest's most important art gallery, it houses one of the largest collections of works by the Old Masters to be found in Europe. The extensive array of Italian, Spanish and Dutch paintings are on display in a spectacular, classically influenced 19th century building with long rooms for the larger paintings, cabinets for smaller and more intimate items, together with architecturally interesting space such as the Renaissance Hall. Note that the museum is scheduled to reopen in March, 2018 after a two-year renovation to improve and enlarge its exhibit spaces. The impressive Heroes' Square (Hosök tere) was largely the work of architect Albert Schickedanz, who was also responsible for the huge Museum of Fine Arts that flanks this large open space. Highlights include the Millennium Monument, a 36-meter column crowned by a figure of the Archangel Gabriel and unveiled in the late 19th century. Around the plinth can be seen a group of bronze horsemen representing the conquering Magyar Prince Árpád and six of his fellow warriors. On either side of the column, colonnades extend in a semi-circle, and between the individual pillars stand statues of Hungarian rulers. Above the corner pillars are beautiful works in bronze by Zala. In front of the Millennium Monument stands a memorial to the Unknown Soldier. Underneath Castle Hill, the rock is a maze of caves and passageways that have been used for various purposes since prehistoric times. In World War II, some were fortified as an air raid shelter and emergency hospital. At the time of the Cold War, the hospital was further secured against nuclear contamination. This hospital and bunker now constitute a museum, the Hospital in the Rock, where you can see exhibitions on lifesaving efforts here during the Siege of Budapest in World War II. Another explores the devastating consequences of nuclear weapons. The most beautiful Baroque church in Budapest is somewhat hidden, lying as it does in the south of Pest away from the main shopping streets. Its main front faces onto a narrow side street, which scarcely does it justice. Built between 1725-42 (the two mighty towers were not completed until 1771), the principal façade incorporates a triangular tympanum with representations of St. Paul and St. Anthony, as well as the arms of the Pauline Order (a palm between two lions and a raven). The church has a single nave with pilasters and enclosed side-chapels, and its walls are clad in artificial marble. Highlights include the frescoes on the barrel-vaulted ceilings depicting scenes from the life of Mary (1776), the choir-stalls, and the sculptures of St. Paul and St. Anthony on the High Altar (1746). Also of note is the Pauline Monastery near the church. Although founded in 1802, the superb Hungarian National Museum didn't move into its current home, a large classical building surrounding two courtyards, until 1847. In addition to its massive portico, a monument to the famous Hungarian poet János Arany impresses, as do its park-like gardens with their numerous busts of famous people. Major exhibits comprise the Royal Regalia (including the magnificent Crown of St. Stephen with its precious stones and pearls), as well as Hungary's pre- and early history from the Stone Age through to Roman times and the early Middle Ages. Also of interest are the many exhibits and artifacts dealing with the country's many struggles for independence, as well as historic Hungarian and Turkish weapons. For music buffs, Beethoven's grand piano, which later belonged to Franz Liszt, can be seen here. With its pretty lake, the 302-acre City Woodland Park (Városliget) is a popular recreational site for both Budapest locals and visitors. Laid out in the 19th century, the park has had many additions over the years: the Museum of Fine Arts and the Palace of Art; the Municipal Zoological and Botanical Garden; the excellent Transport Museum of Budapest; Tivoli Pleasure Park, with its kids' rides and arcades; the massive open-air Széchenyi Medicinal Bath; the fairytale Vajdahunyad Castle; and the 100,000-seat People's Stadium. Margaret Island (Margitsziget), barely 2.4 kilometers long and 503 meters wide is Budapest's main recreation and recuperative center for most locals. Thermal spring-fed medicinal baths, carefully tended gardens and paths, as well as the ruins of many historic buildings all serve to attract many daily visitors. A highlight of any visit is the Palatinus Baths, a huge spa complex that covers more than 17 acres and includes a bath with artificial waves, together with various medicinal, swimming, and children's pools capable of accommodating up to 20,000 bathers at a time. Other island highlights are the pretty Rose Garden (Rózsakert); the Union Monument, a metal sculpture by István Kiss (1972) in the form of a flower; ruins of the Dominican convent, once home to Princess Margaret, the daughter of King Béla IV; the 51-meter water-tower, built in 1911, with its excellent viewing platform; and a large open-air theater. The best option when it comes to finding accommodation in Budapest is to focus on the Pest side of the Danube (the east bank), home to wide cobbled streets as well as attractions such as the Parliament Buildings and the Museum of Fine Arts. Luxury Hotels: For stunning views over the Danube, try the Four Seasons Hotel Gresham Palace, popular for its large rooms with high ceilings and excellent indoor spa and pool. In the heart of Pest's palace district, historic Hotel Palazzo Zichy impresses from the get-go with its palatial foyer and sumptuously decorated, spacious rooms. 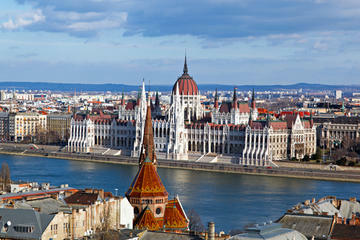 Equally luxurious, the Corinthia Hotel Budapest boasts large, well-appointed rooms, some overlooking a lovely courtyard. Guests can also enjoy the terraced indoor pool. Mid-Range Hotels: Steps from great shopping and dining, the Casati Budapest Hotel offers a relatively quiet, intimate experience of the city due to its small size (check out the sauna and gym in the brick-lined cellar). Another boutique hotel in the heart of Pest, Gerloczy Rooms de Lux offers larger rooms with high ceilings, the best with balconies overlooking a picturesque city square. A little more modern, the Bo18 Hotel Superior offers well-appointed rooms, along with amenities such as a gym, sauna, and hot tub. Budget Hotels: Popular for its affordability and central location in the heart of Pest, Hotel Erzsebet City Center offers good-sized modern rooms. Although a little further east of Pest's inner city area, Hotel Chesscom offers large rooms and is close to public transport and the airport. Also close to public transport, the charming Kis Gellert Guesthouse offers excellent value in a quiet area of town. Sightseeing: For independent sightseeing and to get oriented with the city, the Budapest Hop-on Hop-off Tour by Bus and Boat is a great option. With a unique twist on the standard hop-on hop-off bus, this tour incorporates a boat line, with three stops along the Danube, in addition to the 25 bus stops along two separate routes. Tickets are valid for 48 hours. If you are pressed for time or would like a more in-depth guided tour, the Budapest Half-Day Sightseeing Tour is your best bet. For a unique perspective on this scenic city try a Budapest Night Walking Tour and River Cruise to see the Buda Castle and the Chain Bridge lit up at night and capture some awesome photos. Day Trips: If you want to see more of Hungary than just Budapest, there are some wonderful day trips. To experience a little of the Hungarian culture and countryside try the Puszta Great Plains and Kecskemet Day Trip from Budapest. This tour includes a scenic trip through the Great Plains, past rivers and lakes, and stops in two towns, with a guided tour of Kecskemet and a traditional Hungarian meal. Covering a little different terrain, the Danube Bend Day Trip from Budapest stops in the historic towns of Szentendre, Esztergom, and Visegrad and includes a cruise along the Danube River and a three-course lunch. 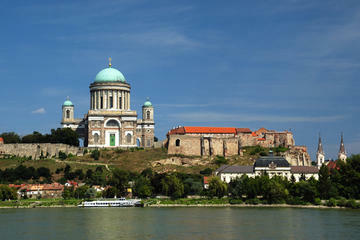 Some of the top destinations in Hungary are easy day trips from Budapest. A tour of Eastern Europe's capitals combines Budapest with visits to Bucharest, in Romania, and Prague, in the Czech Republic. Like Budapest, Prague is crowned by a beautiful hilltop castle. A good stopover en route to Prague is the art-filled city of Brno. Only 2.5 hours by train or a three-hour drive from Budapest is Vienna, on the Danube River in the heart of beautiful Austria.